CLICK ON THE VIDEO TAB FOR A PERSONAL TOUR. This is a custom built by Raymond Massey. One owner home on a desirable street featuring 1440 square feet with 3 bedrooms and 3 baths. Main floor has updated flooring and recent paint. Sunken family room off kitchen has gas fireplace and patio doors to deck. Lower level has rec room, guest room and 3 piece bath. 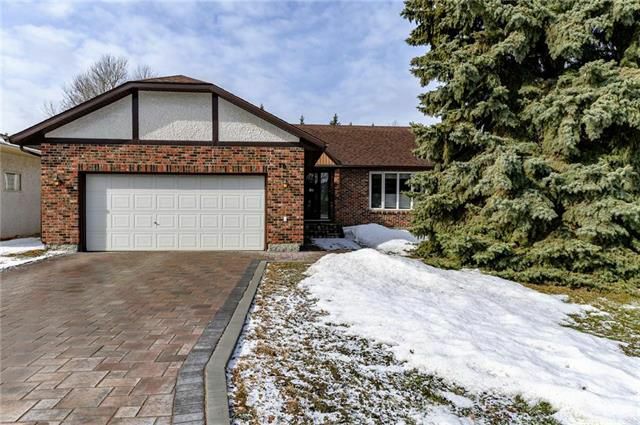 Many expensive upgrades which include new interlocking stone driveway (2018), shingles (2014), high E furnace (2010), central air (2014), hot water tank (2014), and Polar Windows (1999). Priced well below assessed value. Be the first to make this your next home. Seller states it is built on piles. basement bedroom window is not legal egress size.